The World Health Organization report on “Cross-Border Healthcare in Europe” also underlines that the volume of patient mobility within the European Union is relatively low because individuals are unwilling to travel to other countries for healthcare. But in the areas where patient mobility is high, issues related to the impact of cross-border healthcare services on patients, health professionals and health systems are more relevant. The report on the state of play of the Cross-border Healthcare Directive (CBHC), published by the European Commission in September 2015, clearly shows that the European citizens’ awareness about their right to seek healthcare in another EU country remains low and only the 10% of European citizens are aware of the National Contact Points (NCPs). Indeed, less than 20% of them feel that they are informed about their cross-border healthcare rights and just the 2% take advantage of these rights and go abroad when more qualified and specialized healthcare centres are available. These aspects have increased the consciousness that a better coordination of healthcare policies across the EU is needed and the impact of the Directive 2011/24/EU will depend largely on the knowledge that patients have of their rights under the law,also in relation to the cross-border healthcare access and repayments. Moreover, an appropriate implementation of the Directive will also help the remaining 98% of people that decide to stay, or cannot move from their country for personal reasons, to get a better quality and high standards of healthcare services at local level. So, the correct implementation of the Directive 2011/24/EU will give advantages to all patients and will enhance cooperation between Member States. Furthermore, is important to underline that a proper communication towards citizens and patients concerning the opportunities provided by the Directive on cross-borders healthcare has to include a careful analysis on the related potential risks and possible uncomfortable situations that foreign patients could face as misunderstandings, fraud, deceptions, etc. The meeting was a debate among civic and patient associations from different Member States, experts in the field of civil rights, Institutional representatives, National Contact Points and several stakeholders at EU level. 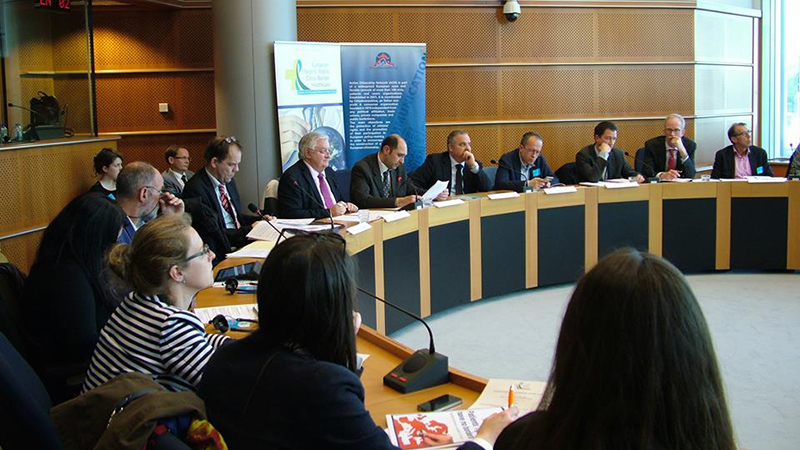 It was held on 3 May 2016 at the European Parliament in Brussels and was hosted by MEP David Borrelli, Co-Chair of the EFDD Group and Co-Founder of the Interest Group. Download the programme and the presentations of the meeting.